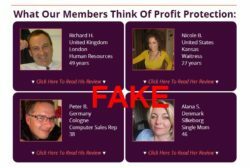 This review is a proof that “Profit Protection” is a binary options scam. It is presented by Aaron Youngst. Youngst claims to be the an ex-CEO of the New York Stock Exchange who quit his job and created a profitable binary options software based on High Frequency Trading (HFT). He called it Profit Protection. 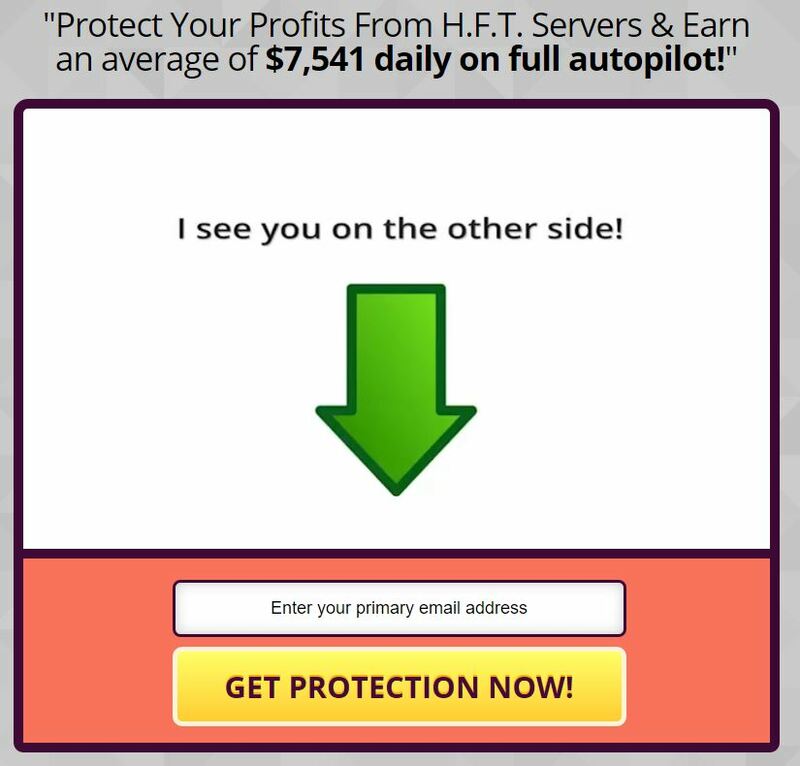 Profit Protection allegedly has a 84% win ratio and can make you at least $3,150 per day. And the app is free, you pay only a fee on profits after you make them. It’s true that High Frequency Trading exists, but it does not work as Youngst describes it in his video. We won’t go into technical details here, but the thing you should know is that HFT is not useable on binary options. Because HFT is about hyper small (milliseconds) advantages in placing orders. And as you probably know, binary options have an expiry of at least one minute, so milliseconds won’t make a difference here. HFT is used on other markets, not with binary options. Now let’s show more proofs that Profit Protection is a scam. Aaron Youngst does not exist, it is a fictitious character. Look at the picture, scammers used a stock photo. Moreover you won’t find any real contact information, there is no company, Profit Protection remains anonymous because it is a scam. We have tested the Profit Protection app that is supposed to trade binary options for you and make you money. But no real surprise here, it is a software designed and used by scammers exclusively. Look at the picture, the exact same app is used for example by Bank Tracker Bot or Escape the Rat Race. This software has no real strategy, so it is losing money to its users. It works like this: scammers want to push you to open an account and deposit money with their partner broker, because it will earn them an affiliate commission. 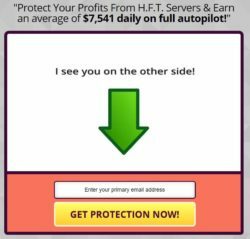 So they made up their Profit Protection story to make you deposit and they will provide you with a software that is going to lose your deposit in trading. Profit Protection is a scam designed to lose your money and make money to scammers, so stay away from it. Trading binary options is a legitimate way of making money, but there is no free money, not even on binary options. You first have to learn trading on a demo account before investing real money to achieve real profits. SO, WHAT IS THE BEST BINARY OPTION SOFTWARE? Hi, I don’t think you’ll find any profitable binary options trading software. I think only manual trading and learning leads to profits.